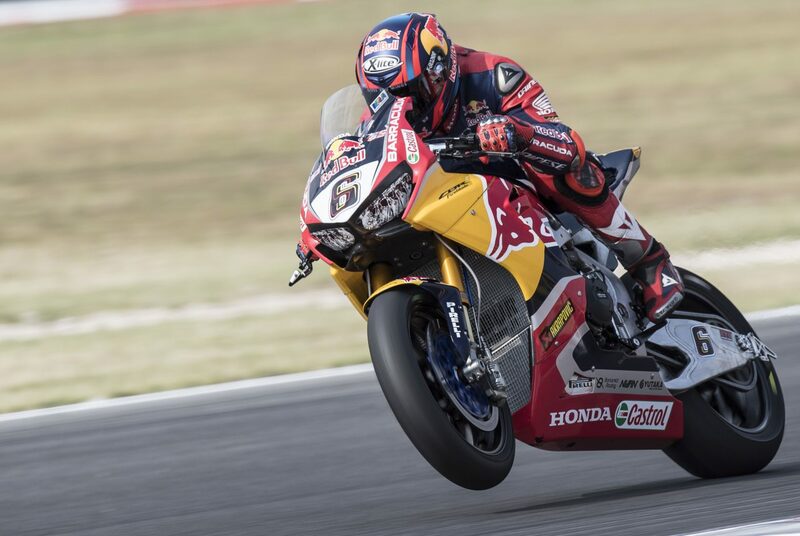 The Red Bull Honda World Superbike team is currently in northern California preparing for the eighth round of the 2017 FIM Superbike World Championship, which gets underway tomorrow at the Mazda Raceway Laguna Seca. Full time team rider Stefan Bradl is joined for the US round by 24-year-old American Jake Gagne, who prepares for his WorldSBK debut in front of his home crowd. The spectacular 3.610km track located between the American cities of Monterey and Salinas is well known to both riders. Bradl raced at Laguna Seca in the last two editions of the US Grand Prix held there in 2012 and 2013, with the latter being a very successful one for the 27-year-old German. Not only did he secure pole position on his Honda MotoGP machine, but he was also second at the chequered flag behind fellow Honda rider Marc Marquez. Jake Gagne will jump on the team’s Honda CBR1000RR Fireblade SP2 machine for the first time tomorrow morning for the first free practice session of the World Superbike class, scheduled at 9:45 local time (GMT -7). The 24-year-old from Ramona, California, who is currently taking part in the MotoAmerica Superbike Championship with the Genuine Broaster Chicken Honda team, will focus solely on his one-off World Superbike adventure this time around. I’m looking forward to getting started here at Laguna Seca. It’s a very special place for me because I have fond memories of this track from my MotoGP times. I like the layout and the atmosphere that is typical of this part of the world. It will surely be a special weekend because of Nicky, so we will do our very best as a tribute to him and for his fans. It’s very important for us all to get some good results here! It’s good to be finally here at Laguna Seca, I’ve been counting down the days for a while now! I want to thank the Red Bull Honda World Superbike Team for this amazing opportunity, and I’m really happy to finally have met some of the team – they welcomed me in a really nice way! Today I’m really excited to finally get to see the WorldSBK-spec version of the bike and be able to sit on it, and obviously even more excited to take to the track tomorrow! We are happy to welcome Jake within the team for this round at Laguna Seca. For him it will be his maiden World Superbike race but he knows the track really well and he has already ridden the bike before, albeit the the MotoAmerica-spec version. His feedback will be really important and we will give him the best possible package to show his talent on the world stage! We have worked hard during the break and we hope we aim to make a step forward with Stefan: he really loves this track and hopefully it will be a good weekend for us all.